The first round of snow is gone. 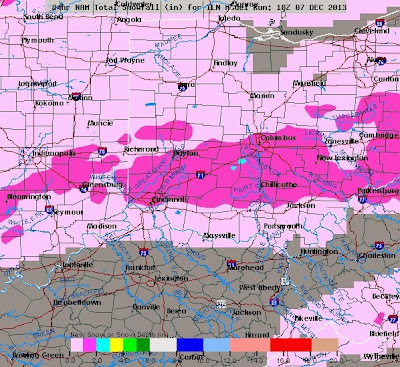 Generally about 4-6" for most of Central Ohio, with lower amounts to the north and south. It was a very wet snow so it compacts as it falls. Had our temperatures been colder it would have been a deeper snow. More snow for Sunday along with freezing rain and sleet. There is a Winter Weather Advisory because of the light snow and ice expected. Generally around an inch of snow for Sunday arriving in the morning for Sunday. It will move in from the south and continue pushing north through the day. Temps will do the same and that means a switch from snow to freezing rain and sleet for the afternoon and then to rain by the evening for most of the area. So any snow will be compacted and melt as well. Temps remain near freezing for Sunday night into Monday so icy spots will remain heading into Monday. We dry out Monday and then another system rides up the East Coast Tuesday. 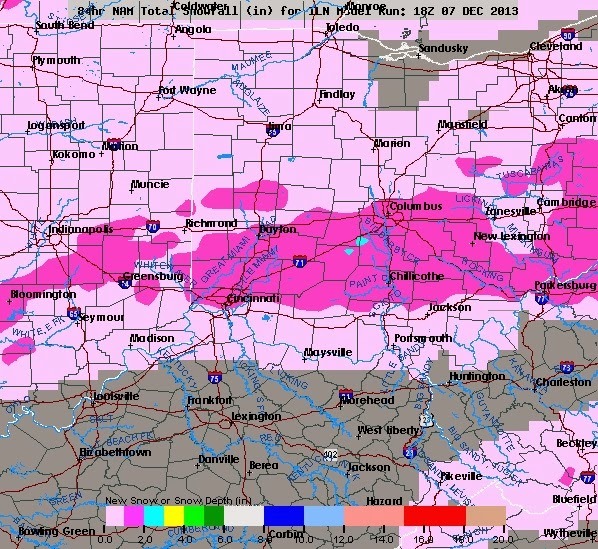 A few models are trying to bring a little snow to Ohio for Tuesday as well, so I will be keeping an eye on that. We then dry out and get cold for the rest of the week. By next weekend we begin to warm up a little. I will post more updates in the days to come. Have a good one!